God Mode is a Shortcut control panel to almost all the tweaks and setting that can be done in the Microsoft OS. It contains almost more than 270+ shortcuts to access in to the settings of windows control panel for better performance, stability and as per the user needs. I am sure every one has experienced God Mode in many of the day-to-day PC games which makes a player omnipotent and indestructible. Well now you can have the same power and command in your very own installation of Windows 7. As we all know control panel provided in windows is home to all the system settings and tweaks but all the settings are nested and hidden from normal user. Now using this trick of God Mode you can change almost all the settings of Windows easily. 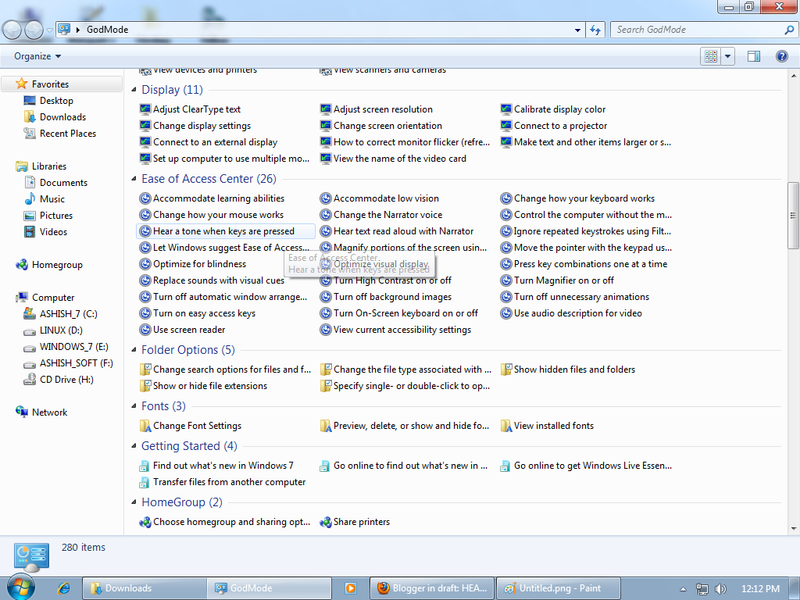 # To do so, create a new folder on your desktop. # That’s all, you will see that the icon of the folder changes and the number disappears form the name leaving back only the name God Mode. 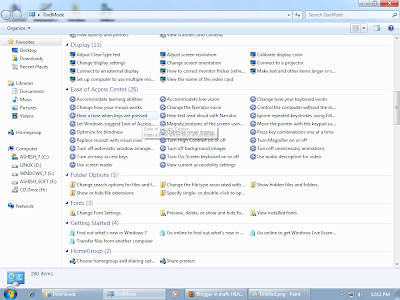 If you browse the folder you will be able to see all the Windows common settings right in front of you with in as sorted list as shown below.